Colicky cramp and spasm of bowels. Painful neuro-muscular conditions, preventing sleep. Rheumatic disease associated with Bright’s disease (D. MacFarlan). Throbbing headache in eyes and temples. Head hot. Throat very dry, pain on swallowing. Feels sick, like vomiting. Griping in pit of stomach. No appetite. Belching and passing gas. Passes less urine. Changing color. Menses suppressed. Diminished sexual desire with weakness. Left knee stiff and painful. Feet swollen. Sixth potency. Fresh juice is applied to ulcers and warts. "Argemone mexicana (Mexican poppy, Mexican prickly poppy, flowering thistle, cardo or cardosanto) is a species of poppy found in Mexico and now widely naturalized in many parts of the world. An extremely hardy pioneer plant, it is tolerant of drought and poor soil, often being the only cover on new road cuttings or verges. It has bright yellow latex, and though poisonous to grazing animals, is rarely eaten, but has been used medicinally by many people including those in its native area, the Natives of the western US and parts of Mexico." 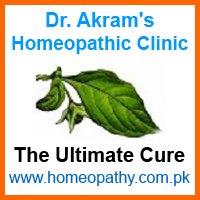 This homeopathic medicine has either not been proved extensively or has not been found of much use in homeopathy.